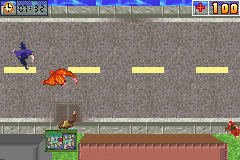 OverviewThe most bizarre Grand Theft Auto clone ever made. Help a lovesick yeti brave the wilds of the urban space and perform odd jobs to earn the attention of his hairy bride-to-be. Now you can add videos, screenshots, or other images (cover scans, disc scans, etc.) 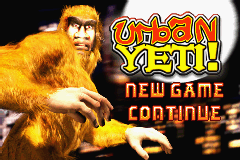 for Urban Yeti! (U)(Eurasia) to Emuparadise. Do it now! 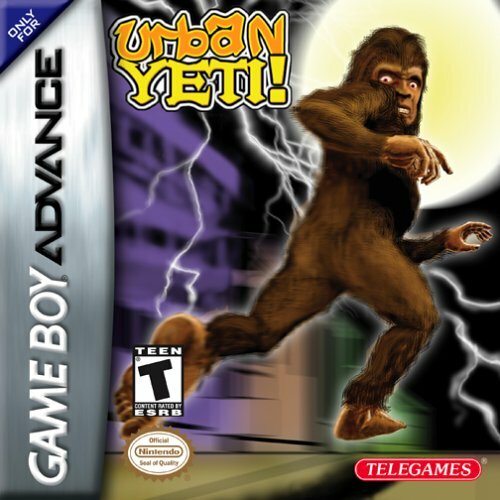 You have the option of playing Urban Yeti! (U)(Eurasia) in your browser, right here at EmuParadise! No need for any software, no installations required, all you need is a fast enough PC and a browser with Flash support. This is great if you're on a PC with restrictions on software installations or want to secretly play at work. :  one at that. Enjoy this peculiar release! : play that will keep you on your toes at all times. :   * The strangest game you've ever played. Real motion-captured Yeti! :   * Sprite rendered engine allows for over 100 humans per city level. :   * Dynamic video ram allocation engine allows for incredible detaits. :   * Proportional fonts make reading text a true pleasure. :     turns in order to achieve your ultimate goal. :   * Sound effects are so realistic, you can almost taste the city. :     you have with humans, the more aggressive they get. :     to show your prospective mate the kind of Bigfoot you really are. : Mode7, Nightfall, Oldskool, Paradox, RSiSO, SAC, & Venom.